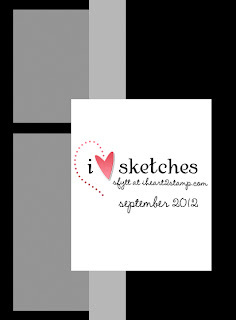 Here we are, up to the September Sketch For You To Try! Have you played along each month so far? There's a great prize package up for grabs at the end of the year for some lucky participant! Our sponsor this month is Kraftin' Kimmie Stamps! Check out Jen's blog for all the details and to link up your creation! sweet card, Becky! love that you flipped the sketch. Flossy is lovely and I'm so jealous of that perfect bow!! What a FABBY job with Fabby Flossy!!! Love it!! !